We are still a few long winter months away from Motorola's Moto G7 family announcement, but a number of key specs have already leaked out. We know that there might be a Moto G7 and G7 Plus models, powered by Snapdragon 660 and 710 processors, respectively, and paired with 4GB of RAM and 64GB of internal storage. 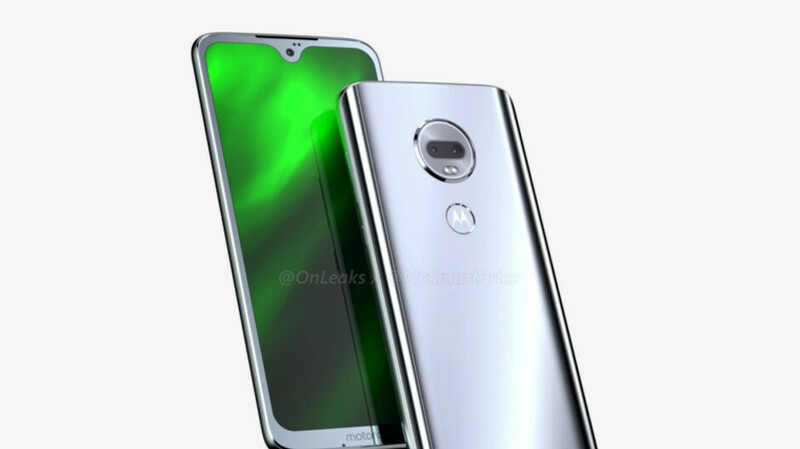 A 6" Moto G7 and 6.4" G7 Plus screen diagonals have also been tipped, as were the eventual waterdrop notches at the front, and dual cameras at the back. What we haven't heard about, however, are the battery sizes. Thanks to a listing in the Brazilian version of the FCC (Motorola has a factory there), unearthed by TigerMobiles, there is a chance to fill this void, as the same G7 XT1965-2 model that passed the FCC recently, is posted there with a 2820 mAh piece made by Amperex. Thus, the G7 may sport a smaller battery than the G6 with its 3000 mAh unit, but let's not forget that there was a G6 Play model this year that carried a 4000 mAh pack, so we'll keep our eyes peeled for a similar arrangement in the spring, when the new G7 family is likely to be released. Still bigger battery than $999 phone (iXS). Smaller notch and real dual sim. And sd support and fast charger in box. Because that's really what Motorola is trying to go up against with this phone.... the iPhone XS. thinner phones with smaller batteries, that's what we want! 2018 iPhones thinner phones - check! smaller batteries - check! You got it! Why SD660,Why not SD670 or 675 in G7 and also tiny battery.G7 plus will be costly i guess then final hope is G7 power or updated android one moto phone next year. After the anemic SD450 in the G6, the 660 is plenty upgrade.